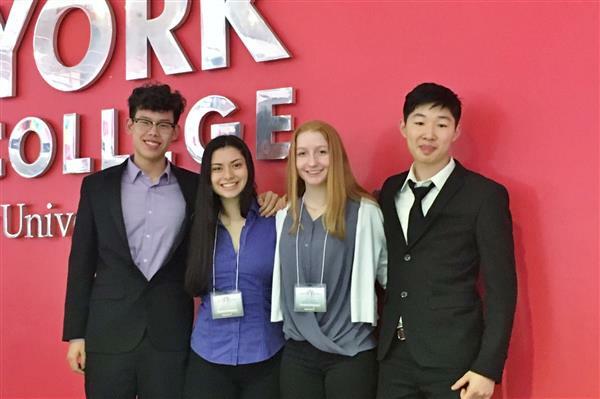 Jeffrey Yu's 1st place at the LI Science & Engineering Fair earned him a spot in the international event. 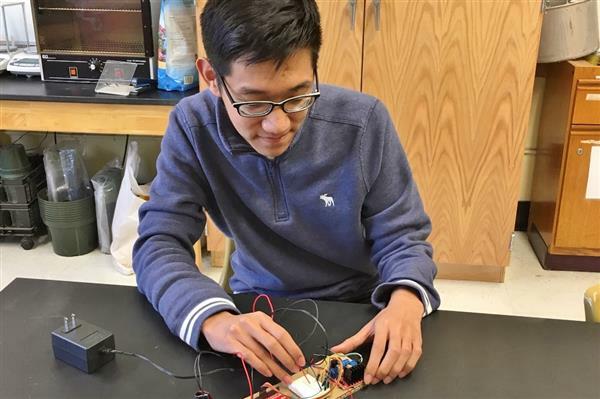 INCubatoredu@RHS is the only program of its kind on Long Island and one of only two in NYS. They are among a select group of seniors in the nation who are eligible for Merit Scholarship awards. Four RHS students compete in the semifinal round, and one advances to the finals. 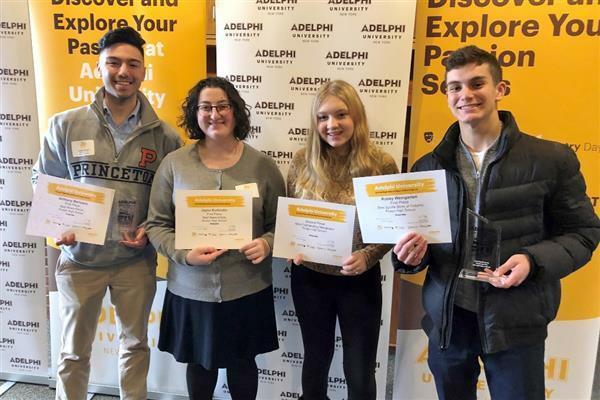 The Hilltop Beacon is honored at the annual Press Day Quill Awards at Adelphi. 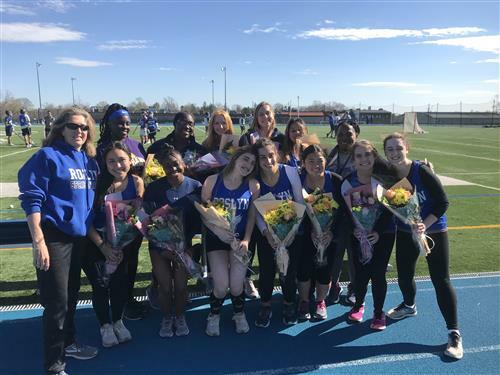 On Tuesday, April 16, 2019 the girls track and field team recognized their senior athletes. 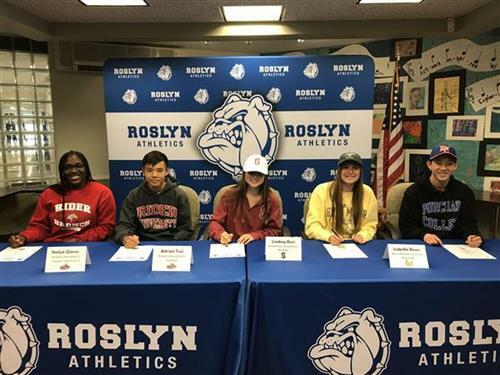 Five Roslyn Student-Athletes Sign their College Athletic Letters of Intent. Click here to read more! 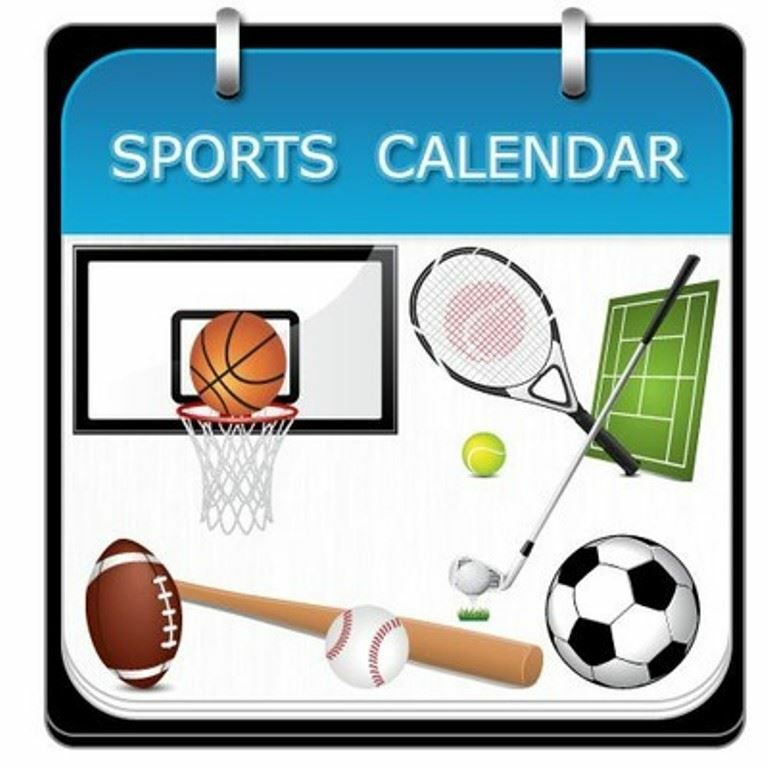 RELEASED: The athletic vacation calendar for the 2019-2020 school year has been posted. 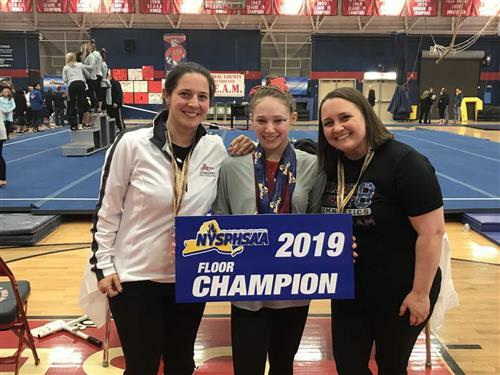 On Saturday, March 2, 2019 Shani Sirota earned the title of New York State Champion! 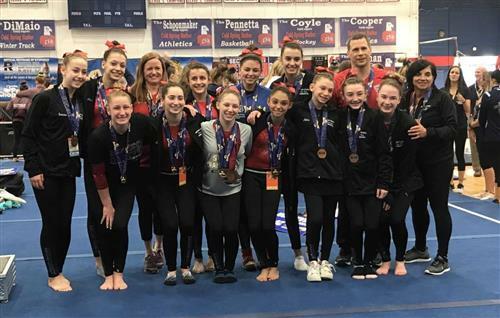 In 2017-18, the high school's new gym, library and front entrance were completed, extensive interior renovations were undertaken, the bus garage on Round Hill Round was demolished, and parking lots were rebuilt. Lanscaping, masonry and lighting were completed in the summer of 2018 on the front entrance plaza, along with new masonry on the retaining walls along Roslyn Road and Round Hill Road. The visitor entrance near the guidance and attendances offices was rebuilt with increased security features and reopened in September 2018. For ongoing reports, photos and details about the capital program district-wide, please visit the Capital Projects web page. (photo) Students in the newly renovated library, February 2018.